I don't know about you, but I have yet to find something that makes me as happy as a spoonful of peanut butter. It's delicious, it's nutritious, and I'm pretty sure it's the glue that holds my life together. When my sister and I were little, we would go to grandma's house and ask if we could make a "cookie sandwich". She would look at us like we were crazy because she thought we wanted cookies on sandwich bread. What we really wanted was a huge glob of peanut butter on our bread topped with a little bit of jelly, then topped once more with another huge glob of peanut butter. Kind of like an Oreo but with peanut butter and jelly instead of chocolate sandwich cookies and cream. I'm pretty sure we ate her cupboards out of peanut butter every weekend making these cookie sandwiches because we definitely weren't stingy piling the pb onto our bread. Ever since I developed an autoimmune disorder, my body no longer tolerates peanut butter and jelly sandwiches, so I have to find a different way to get my pb fix in. I'd be happy as a clam eating pb cookies all day, but that's just not practical. So, a few times a week I whip up a Peanut Butter & Oat Smoothie. Peanut butter is a good source of protein, healthy fats, and keeps you feeling fuller longer so you are less likely to overeat when you add a little into your diet. This smoothie is an awesome way to kick start the day. It's simple to toss together and you can take it on the go, so there's no excuse to not eat healthy on busy mornings. While any peanut butter works in this recipe, I would recommend using an all-natural peanut butter to keep it healthier. The processed varieties often contain hydrogenated oils, which are trans fats (bad fats), to keep the pb from separating. Look for all-natural or organic to keep this smoothie as healthy as possible. I always use vanilla flavored almond milk and vanilla flavored Greek yogurt for added sweetness, but if you prefer, plain is fine for both as well. What's your favorite way to enjoy peanut butter? Looks nom, great photos! Healthy minus the yoghurt, them dairies are filled with nasty growth hormones and whatnotelse. I remember you once had a post about coconut butters, do you still use them? We have a producer here that makes sunflower butter, pumpkin seed butter and almond butter, but they're expensive, like 5 or 6 bucks for a little tub. I do still use coconut butters, though not as often as peanut butter. They are very expensive here too, almost twice and even triple the cost of peanut butter so I only break them out for special desserts. That is quite the concoction you and your sister enjoyed. Don't think I've ever eaten peanut butter on anything. Or alone. What kind of person are you!? How can you never have had peanut butter? Now that's one of the best ways to enjoy it! What a concept peanut butter is something we all love and would be something I would miss if it were not there. My son eats peanut butter and jelly every night before bed so it is his growing food. I love peanut butter. This sounds interesting. We love peanut butter anything in our house. From cookies, to cake, to frosting and now, a smoothie! Yay! I will be making this on the weekend when all my kids are home. 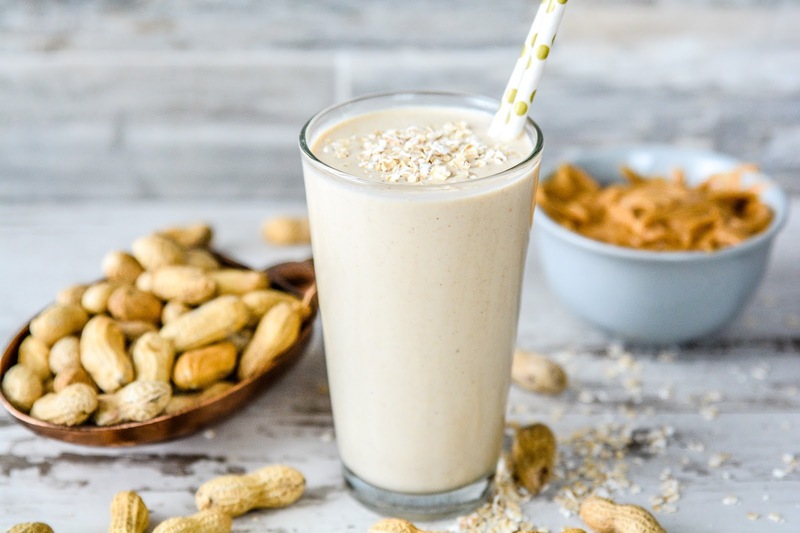 We have peanut butter toast often, protein bites sometimes, and powder peanut butter in our smoothies sometimes. I bought some after seeing your guest post. I started craving it. Nom Nom! That's awesome Alissa! Jason can't live without having a scoop in his smoothies now. He even has Mariah hooked on it. That sounds really delicious, Ai! I love this! It looks so easy to make and delicious! Such a great way to enjoy peanut butter! 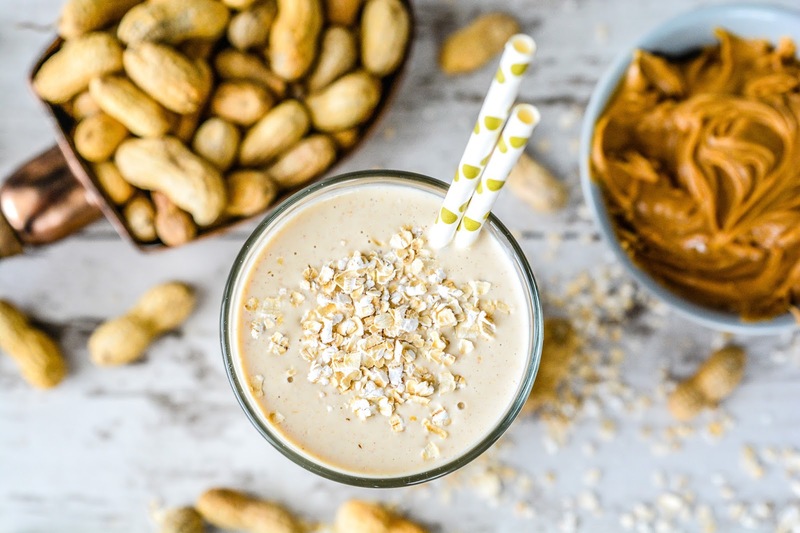 This drink looks absolutely delicious - peanut butter and oats?! A perfect match! I'll definitely have to try it out. I don't like peanut butter, but my son loves it! I can't wait to make this for him! He is crazy about smoothies! I never thought to make a smoothie with peanut butter. Also the oats in it is a great addition. Pinning this one. I've never made a smoothie with peanut butter. I want to now! I love all kinds of peanut butter as well. And I love the fact that you can add it in pretty much any recipe! This smoothie looks SO good. Like heaven! I know what you mean. PB just goes with everything! Talk about a good smoothie recipe to try. I love the combination of peanut butter and oats. 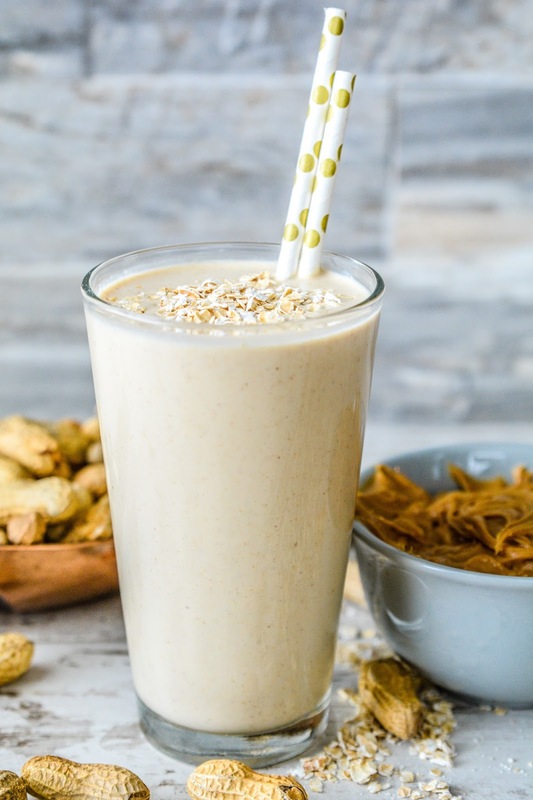 This smoothie is filling, the perfect breakfast to start your day with! YUM! Oh my! This peanut butter looks really so tasty! I am drooling right now and i really want to try this tomorrow. Well, that does sound like a pretty enjoyable way to have it!